Our group including Mike Weaver of Sweetwater Organic Coffee and Dave Campbell of Cafe Campesino on their first day visiting Manos Campesinas in Guatemala. What’s the “Shade-Grown Coffee” thing all about? It preserves ecologically diverse woodlands, provides habitat for hummingbirds, and keeps chemicals out of coffee fields away from farmers and local residents. 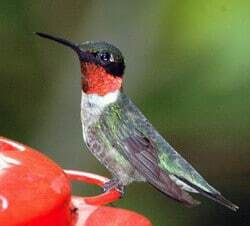 https://blog.cafecampesino.com/wp-content/uploads/ruby-throatedhummingbird-ho.jpg 226 250 Nema Etheridge https://blog.cafecampesino.com/wp-content/uploads/Cafe-Campesino-Small-Farmer-Coffee.png Nema Etheridge2012-05-08 05:00:002018-01-08 17:15:54What’s the “Shade-Grown Coffee” thing all about?